SCRAPBOOK GENERATION: time for markdown monday! and at the Springfield store! Yay! 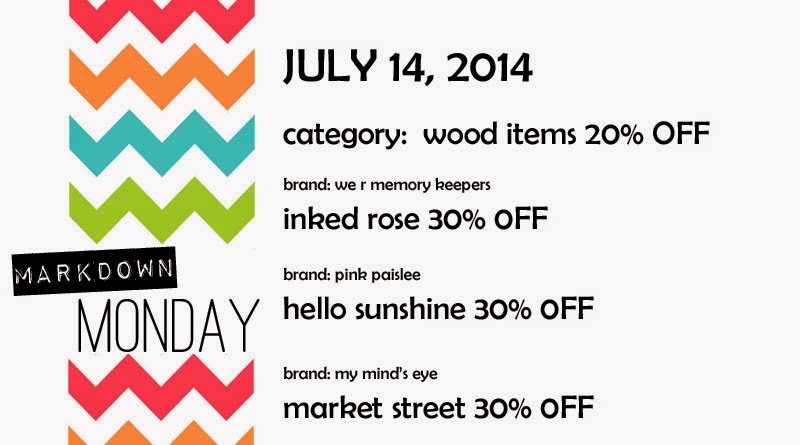 It is Markdown Monday. What a fun thing to see first thing on a Monday. Have a GREAT week SG! august super-savers, and big weekend plans! New fall, Halloween, and Christmas dies! Customer garage sale Friday & Saturday! Crop next week just had some spots open up! gearing up for a customer garage sale next week! july sketch day two layouts! Join us for Operation Write Home! july issue of create is live! july sketch day one...and a saturday crop! Happy Fourth of July from SG! Additional weekend crop added in August! announcing a customer garage sale in july! Weekend prizes for SG's online celebration!